With sadness and yet great joy, the family of Bert Katers announce his passing early on Tuesday morning at the age of 77. After struggling with numerous health issues over the past years, he now lives in glory. Bert was born in Steenwijk, the Netherlands to Annie and John Katers and spent some of his childhood in Indonesia. The family immigrated to Edmonton in 1956. On July 15, 1972 he married Annelies Katers and they raised 3 children together. He worked for Imperial Oil both in Edmonton and Calgary as well as volunteering in various capacities. He lived a full life. Bert is survived by his wife Annelies who lovingly cared for him during his last years and his children, Kevin Katers, Stephanie and Jared Harmata, Jonathan and Susan Katers, Angela Katers as well as 6 wonderful grandchildren, Taylor and Addyson, Dylan and Logan, Brody and Brandon. They will miss their Opa very much. 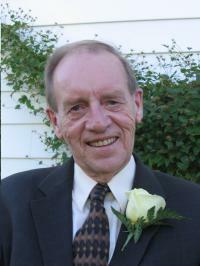 He also leaves behind a sister Joyce and her husband John Dokter and a brother in law Doug Moore. He was predeceased by his parents and sister Ria. There will be a Celebration of Bert’s life on Tuesday, January 23, at 1:00 pm in the West End Christian Reformed Church (10015-149 Street, NW). A private graveside service will be held prior to the Celebration of Life. In lieu of flowers, the family suggests donations to the Canadian Cancer Society.